The main goal of the BB100 project is the development of a process chain towards fully bio-based man-made fibre materials. This does not only include the mere processing of biopolymers, but also commonly used additive materials like plasticizers, flame retardants, colorants and nucleation agents. Fully bio-based yarns and textile demonstrators will be developed. 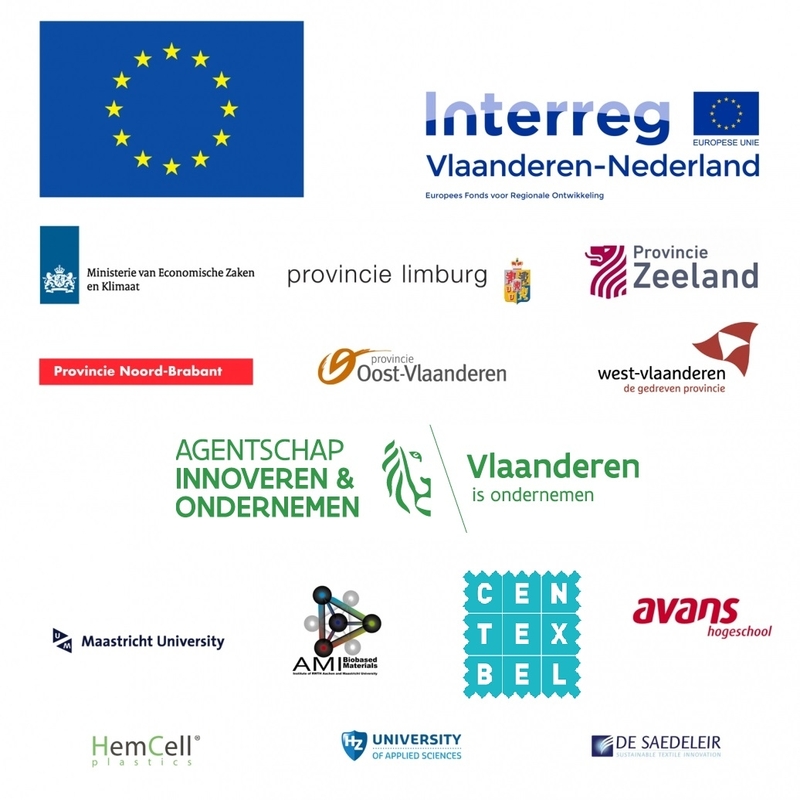 The project “Puur natuur: 100% biobased” is financed within the Interreg V program Flanders-Netherlands, the cross-border cooperation program with financial support from the European Regional Development Fund. More info: www.grensregio.eu.